In any moment we are making a choice between one of two things. We are choosing to be happy or not to be happy. We are siding with either fear or love. 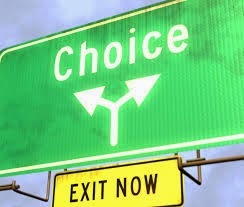 Every moment in life, every perspective we choose to peer from, every action we take or don't take are all a version of this simple choice. Guilt is a man-made creation. God did not create it, nor did he create sin. In fact God always chooses love and happiness. He created us in love. We are designed to be happy. But, for better or worse, we have been given free-will. We can use our free will to choose happiness, as God wishes for us. Or, we can choose fear over love. When we buy into the concept of fear, we choose to believe that we can be "bad". And, of course, if we are "bad", then we are sinners. And if we are sinners, then we need to feel guilt. This is our system of fear. It's man-made. It's not God's. God is always love. I say, scrap it. Let's just toss out this painful, miserable, system of fear from our minds. It doesn't serve our best interests. After all, it is in our best interest to be happy. Release the fear. Release the belief that you are bad. Release the feelings of guilt. In the short term this is always a very simple thing to do. Just think about what makes you happy and keep your mind focused on that. This is a habit you can develop. It's a choice you make. This is step one to becoming happy. Step two is to go deep into your mind and uncover all the dark hidden unconscious feelings of shame and inadequacy. The belief that you are a worthless, undeserving, selfish and ridiculous creature is stashed away in the farthest reaches of your mind. 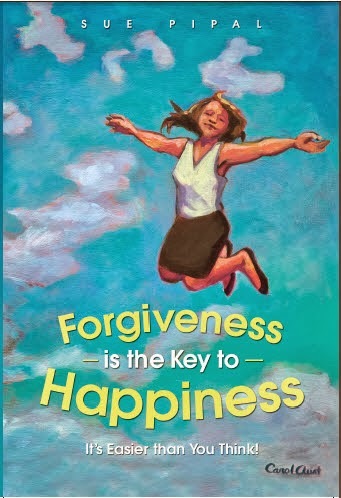 You'll have to do some serious forgiveness work to uncover these beliefs and eradicate them. But you can do this Anyone can do this. It's actually very easy to do this work. It does take thinking time and a development of self-awareness, but there are processes that make it simple work to do. It all has to do with your intentions for your life. What do you intend? What do you choose? Is it your choice to learn to be happy...to live the life that you were created for?